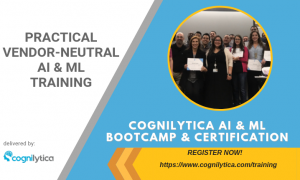 On July 31, 2018 Cognilytica released the latest iteration of the Cognilytica Voice Assistant Benchmark. Conversational interface-based devices are quickly taking off with devices and technology such as Amazon Alexa, Google Home, Apple Siri, Microsoft Cortana, and an increasing number of new entrants into the space. Cognilytica calls these devices “voice assistants”, rather than the less-useful term “smart speakers”. Voice assistants are voice-based conversational interfaces paired with intelligent cloud-based back-ends. But just how intelligent are these voice assistants? 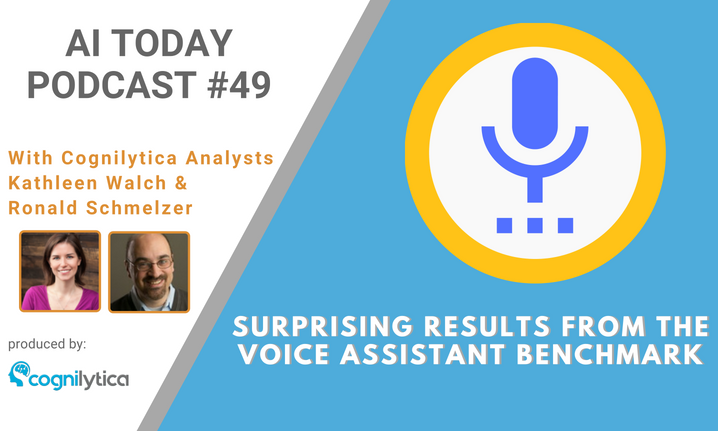 In this podcast, Cognilytica analysts Kathleen Walch and Ronald Schmelzer go over some of the surprising results of the latest iteration of the Voice Assistant Benchmark and discuss just how far we have to go.